This weeks CAS-ual Fridays challenge is to create a clean & simple project with polka dots. I love polka dots, I have used them in the pink of the card so I thought I would put it in that challenge as well. wow this is gorgeous...I love the design...and that butterfly is awesome.. 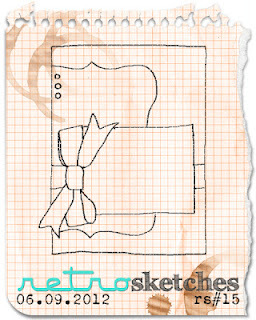 Gorgeous....I love your take on the sketch and your combination of textures. Thanks for playing with us at Dynamic Duos! Oh what a delight this is Tracy! Love the repetitive polka dots in your butterfly and DP. The satin bow adds a bit of elegance. Thanks for playing along with us at Dynamic Duos! 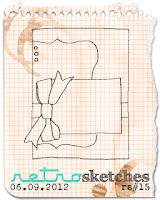 This is a WONDERFUL card - I love how you combined the sketch and Dynamic Duos challenge. I like the butterfly you went with. Such a fab card!!! Fabulous job using the sketch and colors from Dynamic Duos! That pink polka dot paper is gorgeous! So glad you could play along with us at CAS-ual Fridays! Oh wow! This is just stunning. I love the combination of challenges that you used to produce this gorgeous card. Thanks for playing along at Dynamic Duos. Such a pretty card Tracey. Love your butterfly too. Thanks' for joining us at Dynamic Duos this week. Wow, your card is stunning. The polka dot paper is super cute! I love that you stamped the butterfly on the pattern paper! Love everything about your card, Tracy. How one things complements the other. It's perfect. Wow, this card packs a punch with that wonderful butterfly and white space. Thank you for playing along at Dynamic Duos! Tracy, this is beautiful. 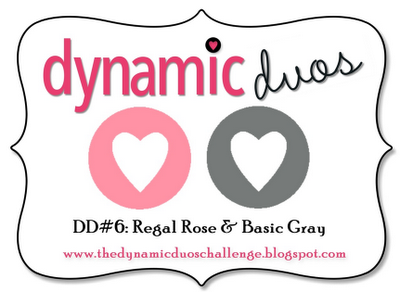 Love the gorgeous gray ribbon and your beautiful take on the challenges! Thanks so much for playing with us at CAS-ual Fridays! This is so pretty Tracy, I love the muted tones and the polka dot paper butterfly. Tracey this is just so BEAUTIFUL! The textures and patterns are perfection! So glad you played RetroSketches this week!! !